Subjective rating: The building perhaps does not make the best impression but there is something about it. And if someone sees an aerial photograph, then will understand why three stars are due. Driving down the road no 650 from Sroków to Barciany you have to enter the place, drive straight on all the way long and on NO account follow the main road (don’t turn along the main road). The first references to the castle originate from 1325. It was supposed to be a wooden defensive structure. 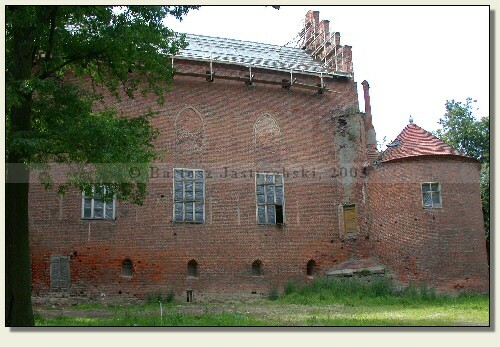 It was probably a seat of a Teutonic debt collection in a conquered Barcia, which was subordinate to a commandery in Brandenburg (contemporary Uszaków in Kaliningrad Oblast). At the end of the XIVth cent. a Grand Master Winrych von Kniprode ordered to create a new commandery, the center of which Barciany became. 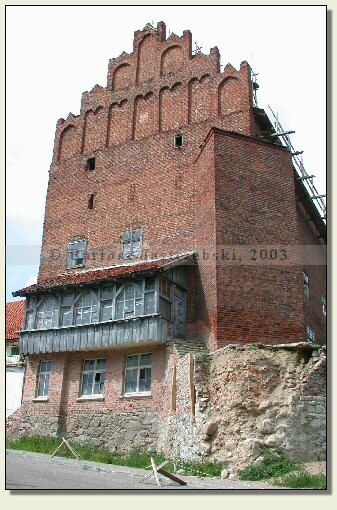 The construction of a brick castle was initiated around 1380. The castle for the whole time remained under the rule of the Order, till the moment of its secularization. Then it became the seat of the steward of a local estate. Since the XIXth cent till 1945 the castle was a private property. 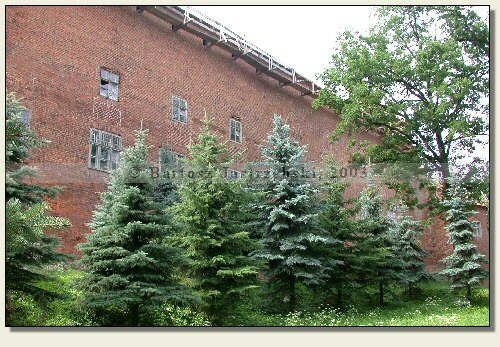 After the war it was turned into the offices and storerooms of a local PGR (State Agricultural Farm).